Deepika And Priyanka Might Be In For A Reception Feud - Wedding Affair var admin_url = "https://weddingaffair.co.in/wp-admin/"
The year 2018 is the year of bigshot Bollywood weddings. Subsequent to the Sonam Kapoor and Anand Ahuja’s grandiloquent wedding, Neha Dhupia and Angad Bedi took everyone by surprise as they tied the knot in quite a reserved manner. And now, there are two more B-town celeb weddings which are knocking on the doors. The Ranveer and Deepika wedding invite have already taken over the Instagram like a storm as the couple announced their wedding date to be 14th and 15th of November while the recently engaged couple Priyanka Chopra and Nick Jonas are supposedly getting married on 2nd of December. 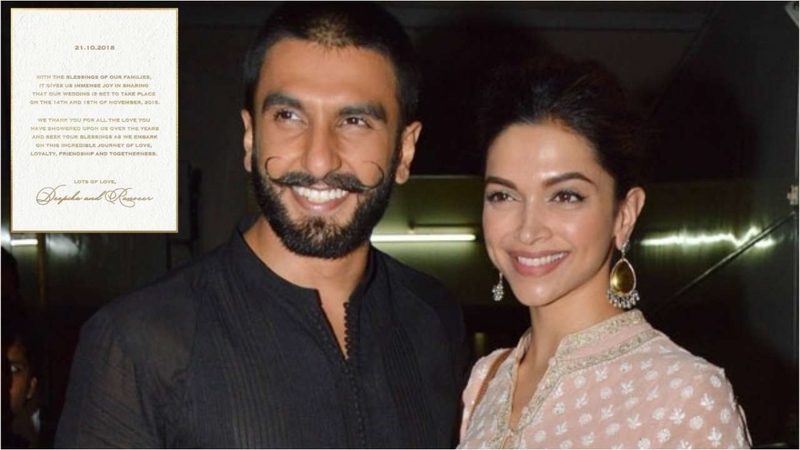 After having left the public drowning in anticipation, Ranveer and Deepika Padukone finally let it out in public their wedding dates. The wedding will supposedly be a close family and friends affair on the 14th and 15th of November, while a grand reception will be thrown by the celebrity couple on 1st of December. Well, interestingly this also happens to be one of the wedding dates of Priyanka and Nick Jonas. If rumours are to be believed Priyanka Chopra and Nick Jonas’ three-day wedding celebration will be held from 30th of November to 2nd of December at the Umaid Bhavan Palace. While Deepika and Ranveer will be hosting their reception in Mumbai itself, PC and Nick’s wedding will take place at Jodhpur. The clash of Deepika and Ranveer’s reception and Priyanka and Nick’s wedding will sure give the B Town food for thought. On the same day, two very important wedding events will be held in two different cities. It remains to be seen who misses the Mumbai’s extravagant reception and who misses the royal wedding at Jodhpur. It will sure give the B Town celebrities a chance to ponder over, as this one won’t be an easy choice for them at all! Designer Pria Kataria Puri’s Home Statement!